Add information about the sailor’s life such as places, people, naval record and anecdotes. This map was created by Nautoguide Ltd. and commissioned by the National Museum of the Royal Navy. The two organisations worked closely together in order to marry the historic data and mapping technology into a unique interactive map that allows users to explore and add to the Jutland story. Using the map you can find relatives who were involved in the battle or add them to the map if they are missing. You can also explore landmarks linked to these sailors such as their home ports, schools or memorials that hold their names. A "note to map" facility allows you to drag a note onto the map and link a location to a sailor. This can be used to mark locations of interest related to them, for example their home before the battle or the location of an artifact of intereest. You can also add pictures to the sailors which we would very much appreciate. Does your family have a special memory that you would like to share? Take a snap and attach it to a sailor and once approved it is there for the world to see. All changes to the map will require our approval to prevent abuse, please be patient as your additions/photos/notes will not show up until our moderators have had sight. Two types of base map can be shown, the default view uses Openstreetmap data to show the map as it looks today. Clicking the map icon changes this view to how the map of the UK looked around the time of the Battle of Jutland. This view only shows mapping for the United Kingdom. Scrolling away from the UK will show a blank screen in this mode. At the top level the map shows items in a clustered (grouped) view. This consists of circles, selecting one of these with your mouse or finger will zoom the map in further. Repeat this until the circles disappear and you can see distinct markers upon the map. Click on a marker to view its details. These will appear in a panel on the left hand side. Occasionally markers may be located very close to each other, the map will show you this by showing a pop-up with the item’s names upon it. Select the item you are interested in with a single click. You can search for items using the search panel on the left hand side. Simply type a search expression into the text box and click/press the search button [BINOCULORS]. This will return a list of results in the “Search results” panel below, you can scroll through these results and select any one of them. If you want to see more of the map, you can hide the search/details panel using the panel control as shown below. Clicking this again will bring the panel back into view. The images panel shows a gallery of photos or images linked to the sailor/ship/memorial/school or note. An image thumbnail is shown and you can see the full size image by clicking upon it. The left and right arrows navigate you backwards and forward through multiple images. 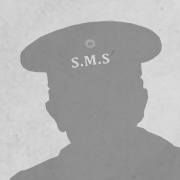 An image may display the message “Awaiting moderation”, this means that it has been uploaded by a member of the public and need to be checked by the NMRN team before being put on public display. You can add an image yourself by clicking upon the camera icon this will then prompt you for an image file or allow you to take one from your phone/tablet. After uploading the image you will need to use the CROP tool to set the thumbnail area to display. Then enter your email address and any note text before clicking the “Upload Image” button to action the upload. This panel also allows you to share details with either your Twitter or Facebook social networks. We encourage you to do this as it helps spread the word of this historic battle further. Click on either the Facebook or twitter icon to do this. The Details panel shows the information that we hold about a sailor/ship/school/memorial or home port. This may not always be complete, for sailors you are able to help us fill in the gaps. Click upon the icon and the panel will reveal the data items that we are interested in. Fill in any information that you may know along with your email address and finally complete the Captcha box. Click the icon to submit your edit and it will be sent to our moderation team for approval. The edit will not display until it has been checked by one of our team. The links panel shows any items on the map that are linked to this feature. A sailor may be linked to a ship, memorial, home port or school, and if we have a link it will be displayed in this panel. Click on the icon to be taken to the map location. This is a great way of browsing around the map as you investigate the various links between the sailors, their ships and other land based entities. The links panel will also show any notes that have been added to a sailor. Notes are a great way of linking information or photos to sailors, this is explained in the section concerning notes. You may know something about a sailor or ship or memorial that is not held in the system. You can tell us all about it using the “other information” section of the Details panel. Simply click on the “Tell Us More” button and enter your information in the message panel along with your name and email address. You can reply to messages that others have sent by clicking on the icon. This also allows you to flag to us any messages that you think may be inappropriate or contain spam/profanity. Notes allow users to pin memories/details of sailors upon the map and also add photographs that are of interest and linked to locations. To create a note, select the sailor concerned and scroll down to the Notes panel in the Details box. The move the map to the location of interest, for example a museum that contains a picture of the sailor. Drag the icon from the Add Notes section and drop it onto the map. The note and map can be moved until you have it in the correct place. Once you are happy with placement enter a Title, Text and Email address and then click “Place”. The Details panel will now change to a Note view and allow you to add photos to the note in the same manner as adding photos to a sailor. Your note will state that it is “awaiting moderation” and will remain in this state until one of our team has approved it for publication. Portsdown U3A, who generously allowed NMRN to use material from their own project. Supported by the Heritage Lottery Fund and in partnership with Portsmouth University, Portsdown U3A researched the lives of more than 2,000 sailors and Royal Marines from the Portsmouth area who died at Jutland. If you need further assistance or have a question that is not answered within this section please send an email to us and we will respond shortly. Reset Filters - reset the map filtering to default. This will pull 500 features from the database and show them on the map. Once a sailor is placed on the map then further fields can be edited and moderation carried out. To add an item pull down the top menu then select, Controls then Features you will see a features panel where items can be dragged and dropped upon the map. Drag an item to the position you require on the map and then drop it there. The system will flag two type of message for moderation. Clicking the “Flagged Messages” button will show all messages that require attention. Simply click “Approve” to allow a message to be displayed to a member of public or “Deny” to prevent it from being shown and delete it from the system. When a public user adds an image to an item it is automatically queued for moderation before being put on public display. These moderations are accessed in the moderation queue by selecting the filter item “Image Moderations”. You will then see a list of items appear in the Inbox panel. Click on any item and you will see it displayed upon the map with a set of icons around it. Notes added to a sailor are automatically queued for moderation. before being put on public display. These moderations are accessed in the moderation queue by selecting the filter item “Note Moderations”. Click on the ”Moderate Note” icon and you will see the note details displayed in the details panel. You can accept or reject the Note using the buttons provided and provide a moderation reason which will be stored within the system. Data updates added to a sailor are automatically queued for moderation. before being put on public display. These moderations are accessed in the moderation queue by selecting the filter item “Update Moderations”. Click on the ”Moderate Updates” icon and you will see the updated data displayed in the details panel. You can accept or reject the Note using the buttons provided and provide a moderation reason which will be stored within the system.
) is owned by National Museum of the Royal Navy ("NMRN") so when we refer to “we”’ or “our” in these terms and conditions, we mean NMRN. By using the Interactive Map you are making an agreement with NMRN. You can use our services for your own personal or, where you are a professional genealogist, professional use. This means you can use this service to: search records; connect sources to life stories; add facts to life stories; add comments and other narrative to life stories; upload content; tag and print records (although any sharing of content must be on a personal, noncommercial basis); these should not be shared with any third party); and subject to some limitations explained on the interactive map, share records via social media. All use must however be for your own personal, non-commercial or, where you are a professional genealogist, professional use, e.g., to research your own family history or as a professional genealogist to perform research for you or others. This is subject to our rights to cancel your account, as set out below. For the purposes of these terms and conditions, a professional genealogist is defined as a sole proprietorship conducting research for clients. If your organisation consists of more than one genealogist, you should contact us to subscribe to a corporate license. You can search the life stories and historical records on the interactive map and all of these are available without charge. You have to submit your email to upload information to the interactive map. You must be aged 12 years or over to upload information to our map. We reserve the right to ask you to provide us with a copy of identification which will verify your age. The interactive map gives you the opportunity to add to life stories using information you find on this interactive map and elsewhere. You can add to any life story using information you find on this interactive map and may also be able to add information from other third party interactive maps as well as other sources. All the people who have life stories on the interactive map are no longer living. You should always obtain consent from any living individuals if you wish to include personal information. You may publish names and dates of birth without consent where this information comes from a legally permitted, publicly available source. share the personal information of living people without their permission. You’re responsible for managing content you create. You may publish names and dates of birth of living people where this data comes from a legally permitted, publicly available source. mine, collect or use any information from this interactive map with the intent to harm, discredit, harass or prejudice any other person; or 8. disrupt the flow of information or other data to and from the interactive map or do anything which impacts the service or performance of the interactive map. for other services provided by NMRN group companies or its partners. Except from your registration information, the content that you make available on the interactive map can be viewed by other users of map.jutland.org.uk, users of interactive maps that are either part of our group companies or with whom we have a partnership. If you don’t want this to happen, please do not publish the content. We love being able to offer a service whereby users can store their memories, photographs and other information however please keep a copy of your information elsewhere. We shall not be liable for any loss of information (including photographs) under any circumstances including for example, should we ever have to close the interactive map. We urge you to backup your information elsewhere. We do monitor content published by our users and we take no responsibility for things that you publish, so think before you post! If you see something on the site that you think is offensive, illegal or which isn't in line with these Terms & Conditions, please let us know by emailing webmaster@nmrn.org.uk . We don't guarantee that we will always remove it, but we will certainly look into it. We reserve the right to remove content that you create, at our discretion. A large amount of time, money and effort has been expended to make these records and features available online. Many of these records and features have been obtained from other organisations and people. These people or organisations often own the intellectual property rights in the records (the copyright/database rights owner is displayed on most records) and interactive map features. Accordingly, you may not use the records or features to create your own work (for example a database of records), copy or reproduce the records (either in whole or in part), or make available, share or publish them unless you have our permission (and/or that of the owner of the copyright/database rights in the work) in writing. You may however use screenshots of our interactive map for blog postings, articles and presentations for informational and educational purposes. If you are a professional genealogist (as defined above) you may also use the records or features in preparing unpublished reports for clients. The interactive map and services provided belong to NMRN, and again, you must not copy or use them without written permission. Therefore, you only have a limited license to access the interactive map and to use the content for personal or professional family history research (including unpublished reports for clients if you are a professional genealogist). In no circumstances, must our services (including records) be used for commercial purposes. Content (including facts, comments and images) that is incorporated into records, is made available online under the terms of NMRN’s Non-commercial license, unless marked otherwise. Certain content is not licensed in this way and that includes premium content. This will be marked ‘All Rights Reserved’, or similar. NMRN’s non-commercial license allows attributed, non-commercial, non-derivative reuse of content and the details of this license are set out at: http://www.NMRN.org.uk/corporate/privacy-copyright/licence Only record content may be reused in this way and only where it is not marked ‘All Rights Reserved’ or similar. Premium content or content that is part of a record set, but not part of a life story may not be reused in this way. If you believe that you own the copyright in any of the content on the interactive map, and we have not recognised you as the copyright owner, please contact us by emailing webmaster@nmrn.org.uk and we will investigate. While we are investigating, we may temporarily remove the records in question. If we agree that you are the copyright owner, we will work with you to find a solution that you agree with, or we will take the record in question off the interactive map permanently. On this interactive map, you are able to publish content; including transcriptions of facts, images; or comments added to records. You remain the owner of any intellectual property rights in content you publish on the site. You agree that even though you may retain certain copyright or other intellectual property rights with respect of the Content you create while using the Service, you do not own the account you use to access the Service, nor do you own any data NMRN stores on NMRN servers submitted by others. Your intellectual property rights do not confer ownership of others' data stored by or on behalf of NMRN. The user agrees to obey all applicable laws and to not infringe any third party privacy or intellectual property rights and only to submit accurate, truthful, non-defamatory and inoffensive content for the interactive map. We reserve the right to make changes to the interactive map, including the records and services we offer, without notice. If we launch a major new collection, on rare occasions this may be charged for. We reserve the right to introduce pricing schemes for premium content and make special offers to groups or individuals. We aim to offer an interactive map which is fast, accurate and performs well. However, it may not always work as expected. If the interactive map does experience issues, we are not responsible for any losses you might suffer. We cannot confirm or give warranties about the accuracy or completeness of the records or other information on the interactive map. We simply provide access to it. We are not responsible for content on other sites that we link to. We cannot promise anything in relation to the content and services on the interactive map, apart from what is set out in the Terms and Conditions. We really believe in Customer Support and always aim to fix problems where we can: quickly and amicably. If you have a question, suggestion or complaint, please contact webmaster@nmrn.org.uk and we’ll do our best to sort it out. Except where prohibited by law, in no event will we be liable to you for any indirect, consequential, exemplary, incidental or punitive damages, including lost profits, even if NMRN have been advised of the possibility of such damages. These terms and conditions are made and governed under the laws of England, without regard to its conflict of law provisions. You agree to submit to the exclusive jurisdiction of the English Courts to resolve any disputes arising from these terms and conditions. Otherwise you may find that the administration system does not behave as expected. Help us complete the picture! 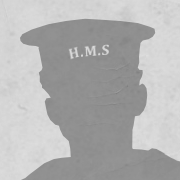 I helped to complete the picture of a sailor at the Battle of Jutland interactive map. There are sailors on the map. Help us continue the legacy by adding to the records we have.